A strong double-double performance by Kuanitra Hollingsvorth helped Turkey beat Italy on Saturday and put the team in the quarterfinals of the FIBA EuroBasket Women tournament. 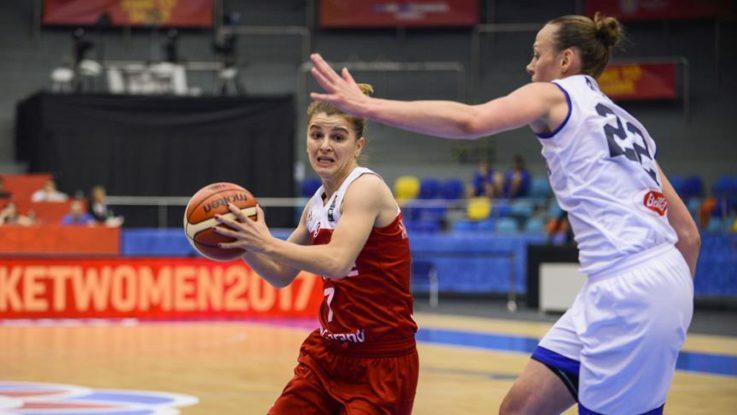 The 54-53 win at the Hradec Kralove Arena was Turkey’s second win in Group B.
Hollingsvorth was the game’s top scorer with 29 points and 21 boards. The Red-Whites beat Slovakia 69-58 Friday in the team’s first game of the tournament. The victory over Italy guarantees Turkey will finish atop the group. Its final game in the group June 19 against Belarus. The FIBA EuroBasket Women tournament is being held June 16-25 in the Czech Republic.